The Salesman is a gripping, masterfully crafted and performed realist drama set in Iran that tracks the psychologically complex repercussions of a marriage crisis arising from a traumatic event. 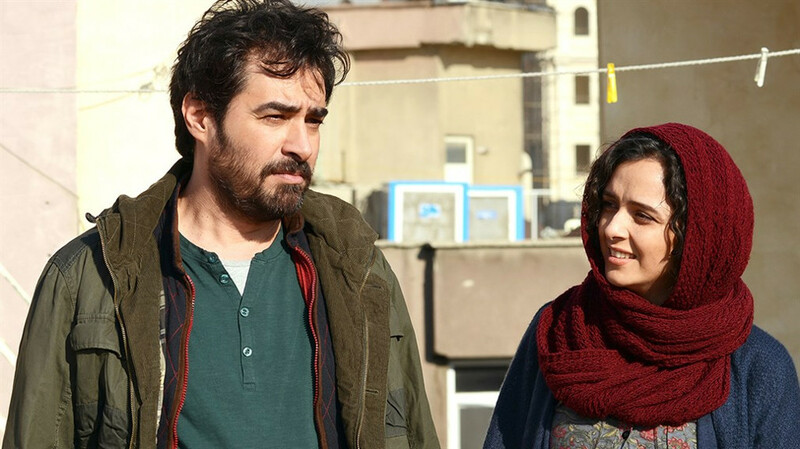 The Perth International Film Festival has scored a coup in providing Perth filmgoers with their first opportunity to see Iranian writer/director Asghar Farhadi’s new film The Salesman, deserved winner of this year’s Best Foreign Film Oscar. In a tense opening, residents evacuate an apartment block rendered unstable by nearby construction works. This image of a building in danger of collapse metaphorically prefigures the marital shake-up in store for two of the tenants, married couple Emad (Shahab Hosseini) and Rana (Taraneh Alidoosti). Emad and Rana lead busy, seemingly fulfilling middle-class lives, and appear to have a happy marriage. Emad is a teacher by day, popular with his adolescent male students, and in the evenings he and Rana rehearse as the lead married couple, Willy and Linda Loman, in an amateur production of Arthur Miller’s Death of a Salesman. Desperate to find a new abode, when a friend alerts them to a newly vacated apartment they seize the opportunity and move straight in. The previous tenant has left in a hurry, it seems, her belongings piled against an outside wall. As with the unstable building, this evidence of unfinished business, of a lease prematurely ended, is a pointer of things to come – the life of the previous occupant encroaches on the new tenants with profound repercussions when Rana lets in a caller whom she assumes is Emad just before she showers. Turns out it is one of the previous tenant’s gentlemen callers. A traumatic event results that sends the couple’s lives into a spin, and opens the way for a fascinating (and expertly managed) exploration of their characters and relationship. Rana refuses to talk about her ordeal in any detail, and Emad, increasingly agitated, begins to agonise over just how much her honour – and his – have been compromised. Impatient with his wife’s teary episodes and ongoing upset, he disregards her pleas to let the matter rest, and sets out to track down the intruder. Revenge is clearly far higher on his agenda than his wife’s ongoing struggle to cope. His self-absorption at his wife’s expense has echoes in their roles in the Miller play, which become ever clearer as the action unfolds en route to a unpredictable and shattering climax. Typically of Farhardi’s work (eg: A Separation and The Past), the pace is slow and the drama is in the mostly verbal interactions between the characters, but the film is as gripping as any thriller. The performances are superb, the actors relishing the brilliantly fashioned dialogue, which is as realist as it gets, yet full of dramatic purpose. The characters and the complex dynamics of their relationship ring psychologically true, and emotional investment on the part of the viewer comes easily. The Salesman is a superb work and perhaps Farhadi’s best to date, affirming his reputation as a master of the realist domestic drama. Don’t miss.